Home / Best Practices, Technology, Industry / Who owns Packaging Artworks? We are not talking about ownership in terms of copyright (this is a separate discussion) but who owns responsibility for an artwork correctness and the process. It depends on who you ask and which company you belong to. It appears to be a collective responsibility since there are many stakeholders, but if there is “one neck to choke” when something goes wrong, who would it be? If the organization is big enough to have a dedicated Labelling or Artwork department, the ownership could rest with them. Sometimes it’s just a couple of design people reporting to a marketing manager who take care of the artworks. But just because they develop the artworks, do they really own it? No. They are merely custodians of the artwork and are not truly the owners. The design could also be outsourced to an external agency. The agency usually becomes the custodian, but they are still not the owners (even though they act like one sometimes). So let’s look at the rest of the stakeholders who are responsible for the packaging artwork. Marketing / Brand / Category Manager: They are the ones who are typically at the start of the artwork lifecycle and make the request for a new artwork for a New Product Launch or request changes to labels and artworks based on product extensions, market extensions, offer/promo packs, etc. Numerous hours are spent with the designer perfecting the artwork, its colors and style. All this to make sure the product catches the eye of the customer on the retail shelf. So are they the real owners? Studio / Design Agency: Organisations work with a mix of in-house studio and external design agencies. The internal stakeholders receive the PDF artwork for approval, whereas the source files (Adobe Illustrator) usually remains with the agency. If there is a future change in the artwork, the design agency can use the same source file without having to depend on the company. Regulatory : They can be very powerful especially in the Pharma industry where its not uncommon to find Regulatory Labelling roles. They have the final say on the label going to a particular market/country as they understand the rules and regulations that apply in that country. It also means that they are sometimes the initiator of a change requests due to regulatory changes. In the Food & Beverage industry its the regulatory person who keeps up with the constantly changing regulations and enforces it before the label gets out to the market. Not following regulations could result in a possible product recall which no one wants to happen. So extra precaution is taken to make sure all regulatory rules are adhered to. Is regulatory the owner because of the importance of their role? 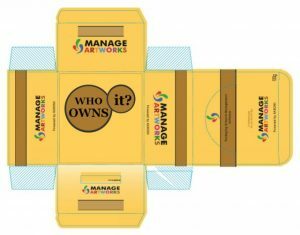 Packaging: Besides their primary responsibility of packaging development, its sometimes assumed that the packaging department is the owner of all the artworks. The fact that the labels and artworks are part of the packaging, makes them the default owners of the artwork. The truth is, they don’t have much say on the text, images and layout of the artwork. 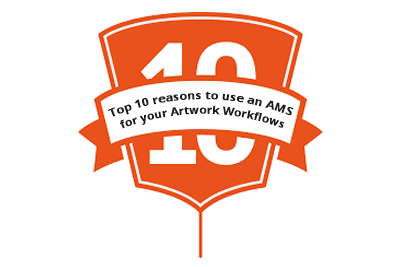 They are usually responsible for the Key Line (cutter guide) and the barcode, but get stuck with the job of following up with the other stakeholders on artwork approvals. The fact that the name of the department is packaging makes them usually the defacto owners of packaging artworks. QA: They are the final gate to cross before the artwork is released. QA in Pharma companies play a very important role in the artwork life cycle. They make the go-no-go decisions based on the inputs from other departments and their own evaluation of the artwork correctness. The QA department handles artwork approvals and printer proofs approvals and usually drive the compliance agenda for the organization. Legal / Product Development / Nutrition : They are responsible for some of the text that goes on the label/artwork, but not really the owners. Supply Chain: Along with the procurement team, the Supply Chain department is responsible for getting the printers ready for production. They sometimes take the help of the packaging team to get the print proofs approved and make sure the backend logistics is all ready for production. Once the artwork is approved, they take over the responsibility of print and make sure the print material is delivered to the plant for production. All subsequent print runs are managed by the supply chain department. Printer: Most organizations send a print ready file to the printer to print. But some companies still send the source file to the printer so that ‘some tweaking’ can be done to get the artwork to print right. Even though they are aware of the possible issues that could arise out of this practise, the company lacks the experience in print technology to control it themselves. Once the printer makes the changes, the final artwork version resides with the printer and not with the company. In these cases the printer becomes the custodian of the artwork. So depending on the organization and the importance of each role in the organization, the ownership of the Artwork changes.